It’s no wonder we often go to bed questioning whether or not we’re giving our child what they’ll need to survive out there in the world someday. In effort to help you will the neverending puzzle we call parenting, here are five positive parenting techniques that help raise emotionally healthy kids (and as a bonus improve their behaviors too). These concepts are supported by some of the leading experts in the fields of positive parenting and behavioral science. At the root of our humanness is the need for connection. The need for intimate and meaningful relationships is present in our wiring at birth and throughout our lives. While the focus in parenting is often on tips and techniques to render our children into compliance, research seems to be telling us we’re overlooking our main source of influence, a strong connection with our child. Most parents want to be responsive to their child as opposed to reactive. In order to do so, it is vital that parents are in tune with not only our child’s emotions but also our own. Why? So we aren’t entering into daily interactions harboring thoughts and emotions that will be a hindrance to our parenting. If we are feeling resentful and angry that we got four hours of sleep last night, we won’t be able to effectively respond to our pre-schoolers tantrum. When we become self-aware we can parent consciously and not project our own emotional needs onto our child. 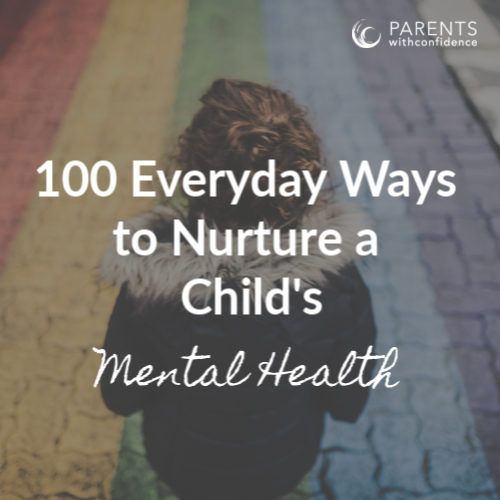 Basically, the more self-aware we are, the better able we’ll be to interact with our child in a way that contributes to the harmony and emotional health of our family and learn how to be a positive parent. There’s no doubt that for most of us our knee-jerk tendency is to look at our child’s behavior on the surface level. This approach often leads to personalizing and misinterpreting our children’s actions. 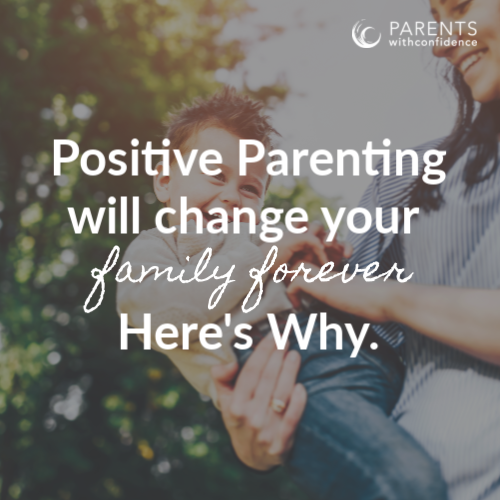 However, if we can make the paradigm shift from focusing on surface behaviors to what our child’s behaviors are communicating to us, it will be a life-changing positive parenting technique. Thanks to neuroscience we now know the way the brain works is that our actions follow suit after our thoughts and feelings. Therefore, any behavior is an extension of what’s currently going on ‘behind the curtain’ or an indication of the state of our child’s mind and heart. 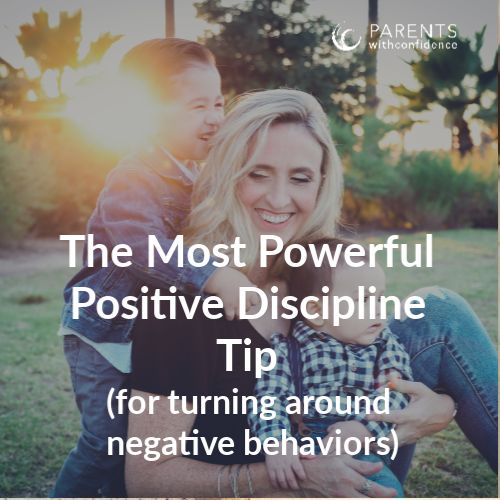 When it comes to how to discipline a child, if we are in tune with our child’s underlying needs not only do we address the root cause of the issue, we also avoid unnecessary shame and criticism in reaction to challenging behaviors, which holds the potential over time to negatively impact our child’s mental health. Listening. Something so simple, but such an amazingly powerful positive parenting technique. While the recommendation to ‘listen to your child’ may not sound like earth-shattering advice, it truly is. The power of being listened to and feeling heard is remarkable for both children and adults alike. Think about it. What’s the best relief from pent-up frustration at the end of a busy day? It is almost always a sympathetic ear. When a parent takes the time to pause and really listen to their child, their actions convey many powerful messages. I care about you. You are an important human being. You are worthy of my time and full attention. I see you. Parents can be supportive listeners by giving their child full attention, reflecting back what they hear, and doing their best to resist jumping in. It is truly amazing how even a young child can work through their own challenges when given space to do so. Dr. Laura Markham of Ahaparenting.com offers these wise words, “The sweet spot here is to empathize so your child knows you understand what’s she’s feeling, but to also communicate your wordless confidence that this too shall pass, and someday life will be good again.” Perfect. Sometimes parents forget that their child is their own unique and amazing human being (as opposed to a whiny appendage following us around asking for fruit snacks). Your child has gifts, challenges, and passions that drive them from the core of their being. As parents, we have the honor of helping our child discover that spark. 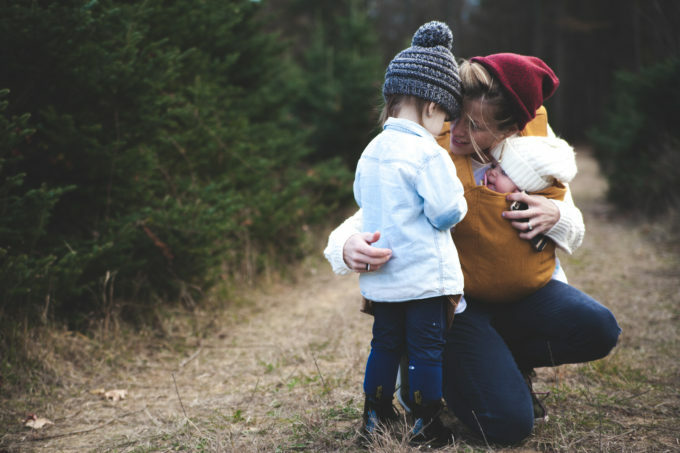 Getting to know our child means not only discovering who they are in their personality traits and character strengths but also knowing where they are in their development at any given time. Children go through a myriad of developmental stages as they grow, and the way they learn and interact with the world around them will change in each. 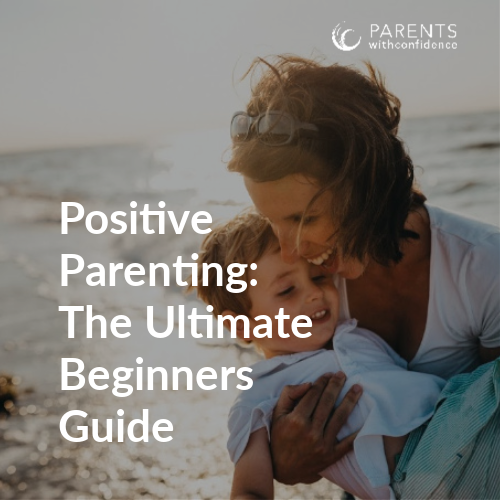 If you are invested in working hard on the ever-changing puzzle that parenting is, feel confident in the positive energy and change positive parenting skills will make. It certainly comes a lot easier to let that Rubix cube sit on the bookshelf gathering dust, where our thoughts and ideas are safely unchallenged. When you strive for connection, self-awareness and a deeper understanding of your child, you’ll quickly earn the title of parenting ‘speed-cuber’ (yes that is an actual a term people train for and label themselves as, in the Rubix cube circuit) and the best part? You’ll be setting your child up for a healthy self-concept and a life-long framework for emotionally healthy relationships. This article was also featured in the Huffington Post. 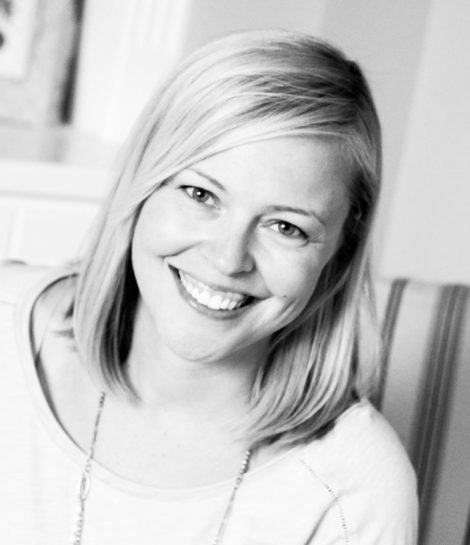 Angela Pruess, LMFT, is a Child and Family Therapist and special needs parent on a mission to support and empower parents of behaviorally challenging kids. 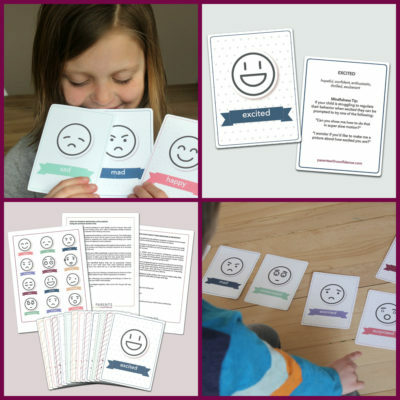 She wants to make life easier for you by decoding your child’s maddening behaviors, as well as their developmental and emotional needs. When she’s not supporting parents, or seeing kids in her private practice, she is at home being challenged (a lot) by her own three kids (and sometimes husband). Come join the Parents with Confidence tribe on facebook. Get your FREE guide “Become A More Confident Parent in Five Minutes—The 5 Best Things A Parent Could Ever Do For Their Child” here. These insights are wonderful and helpful. Just this year I came to realize how important understanding yourself and your own triggers can help to manage your own feelings. Self-care leads to better kid-care and staying calm in the moment. Thanks so much Ellen, couldn’t agree more:). All great points! Listen to your children, that’s a big one. One of the best and simplest tips I give to parents is, Listen to listen not to respond. Hear their words and look to see what message their actions are conveying. We can all learn and pick up on so much by really being present. Of course! Thanks so much for reading!